May 15, 2018 — Voters in four more states go to the polls to choose their nominees today. Today, we examine those four states as voting gets underway in the Idaho, Nebraska, Oregon and Pennsylvania primaries. Voters in the Keystone State go to the polls throughout the day to choose partisan nominees for governor, US senator, and representatives in their 18 new US House Districts. The governor and Senate contests are not stirring up much intrigue as neither Gov. Tom Wolf (D) nor Sen. Bob Casey Jr. (D) face any Democratic primary opposition. On the Republican side, state Sen. Scott Wagner (R-York) seems to have the inside track against businessman Paul Mango and former Pittsburgh Chamber of Commerce president Laura Ellsworth. In the Senate GOP contest, US Rep. Lou Barletta (R-Hazelton) appears primed to defeat state Rep. Jim Christiana (R-Monaca) for the opportunity to challenge Sen. Casey in November. Both Democratic incumbents are currently favored to win new terms. PA-1: Rep. Brian Fitzpatrick (R-Levittown) will easily win re-nomination against a minor Republican candidate. Democrats have three candidates vying for advancement to the general election. Though the district remains 93 percent intact after the state Supreme Court re-drew the Pennsylvania CDs, and contains all of Bucks County, this race has toss-up potential. PA-2: Rep. Brendan Boyle (D-Philadelphia) is running in the eastern downtown district, now fully contained within Philadelphia County. Rep. Boyle will have little trouble securing this seat in tonight’s Democratic primary and in the general election. Half of Rep. Boyle’s previous 13th District comprises new District 2. PA-3: Freshman Rep. Dwight Evans (D-Philadelphia) seeks re-election in a slightly different district, as 80 percent of his former constituents are re-cast into the new 3rd CD. 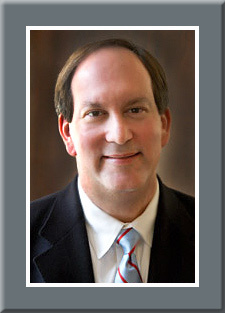 Evans will easily be re-elected in both today’s primary and the general. PA-4: The new 4th is comprised of parts of five previous districts, and now contains most of Montgomery County with a sliver of Berks County. Former US Rep. Joe Hoeffel (D) is attempting a comeback here, but it appears state Rep. Madeleine Dean has the advantage in the Democratic primary. The new 4th is safely Democratic in the general election. Could Bannon Cost the GOP? 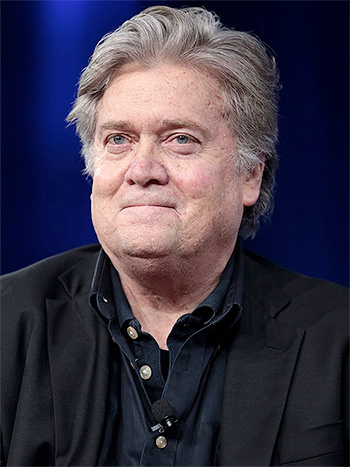 Oct. 13 2017 — Several articles have surfaced this week speculating that former presidential advisor Steve Bannon wanting to find and support challengers to Republican Senate incumbents could cost the GOP its majority. It appears individuals making such a claim have forgotten how to count. Keeping in mind that the Democrats must protect 25 of 33 in-cycle Senate seats, there are simply not enough legitimate targets available for the minority to change their status within the chamber, even though they need a net gain of only three seats. Yes, the Dems are forcing Sens. Dean Heller (R-NV) and Jeff Flake (R-AZ) into toss-up situations, but the remaining six GOP incumbents are some of the safest in the Senate. So, even if Bannon or other conservative insurgents recruit opposition to incumbents, the chances of the eventual Republican nominee losing the general election in these particular states are extremely low.